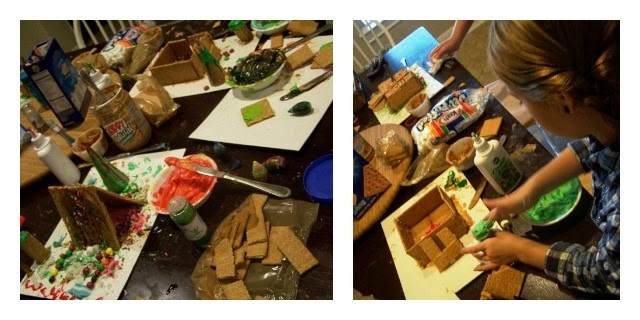 When my son was 4, I began a holiday tradition - making graham cracker houses! Every year we enjoy making these creations because we always find new ways to work magic with our graham crackers! The one struggle we had was finding the right "glue"...but this year, I heard a GENIUS idea...and knew we had to try it. 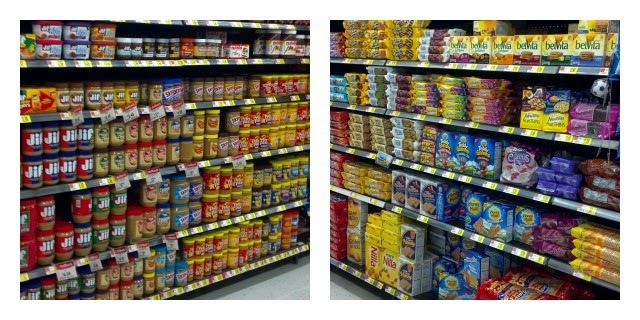 Are you ready...this is good..."Use Peanut Butter to construct your graham cracker house!" After all these years of struggling with regular icing...my problems have been solved - and I am never looking back! Now it is time to share our of our favorite traditions and Family Holiday ideas with our new friends in Texas. In all these years, the only other "problem" we ever had was what to do with our leftover graham crackers (other than devour them)...so this year, inspired by my son's idea, I also came up with a tasty recipe that uses some of those extra graham crackers and peanut butter. 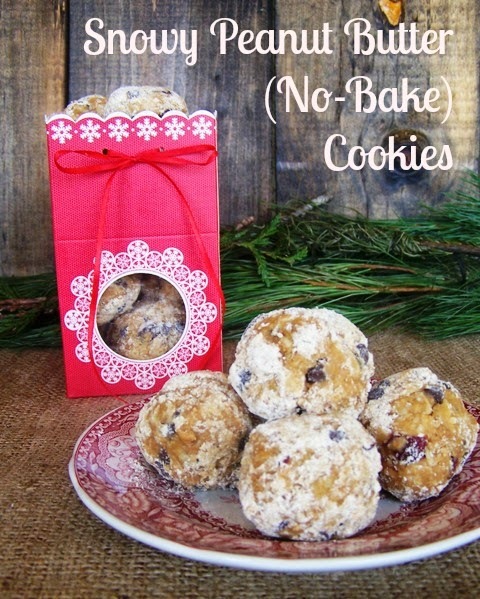 Oh yes...it is also a No-Bake cookie! Before I headed off to Walmart for this #CollectiveBias shop, I told my kiddos to get their thinking caps on...because we were going to make some #PBandG magic with Honey Maid Graham Crackers (be sure to click that link before you go for a .50 off coupon!) and Skippy Peanut Butter. Now, you might think I am crazy, but I went shopping the day before Thanksgiving...I had to, this house making tradition begins over Thanksgiving weekend and continues through New Years. I had to have my supplies! And I was so pleasantly surprised to find fully stocked shelves with everything I needed and so many employees there to help! Once I had the Graham Crackers and Peanut Butter, I also picked up some candy canes, chocolate candies, gummi bears, and various other candies, along with some icing and food coloring for decorating. I had planned on making a big Texas style ranch, but my kids had their own ideas and those ideas continued to grow. For our first round of house making, my daughter invited some friends over and they each made their own creations. They were excited to use the peanut butter for their construction - it really does work that well! that! I let them have at it with the supplies...no rules...only creativity! It was pretty simple to make and a whole lotta fun! Place 2 full sheets of graham cracker on your cake board - these are the bottoms of the two tents. Spread Skippy Peanut Butter all over the bottom of each cracker and stick them to the board. NOTE: After making one tent we found that adding a base and the reinforcement (see next step) on the sides, the tent was sturdier. Lay 2 sheets side by side (face down), spread peanut butter between the two to stick them together. It's OK if it gets on the backs! 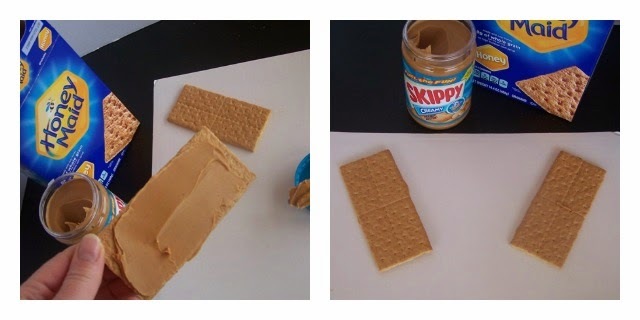 Spread peanut butter all over the bottom of the 3rd sheet, and place it in the middle of the other 2 crackers. Use a knife or your finger to smear and excess peanut butter in the front (it helps it stick!). Repeat this 3 more times. On each side of the tent bottoms place a good size amount of peanut butter. Pick up one tent side and run a stripe of peanut butter along the top edge (be generous). Place the bottom of the tent side in the peanut butter and hold with one hand. With the other hand, place the other tent side in the peanut butter at the base and then bring the tops of the two tent side together. Smooth out the peanut butter on top, add more if necessary. All done now let's decorate! Add an additional line of peanut butter to the top of the tent and place alternating colors of chocolate candies alone the top. 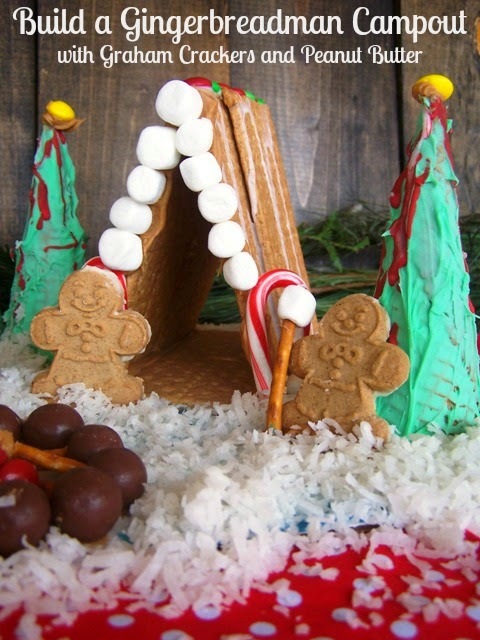 On the front of the tent, add mini candy canes to each side, just add a line of peanut butter to each candy can and affix to the tent. Run a line of peanut butter along each side base and place mini marshmallow on it. Drizzle cookie icing all over the sides. 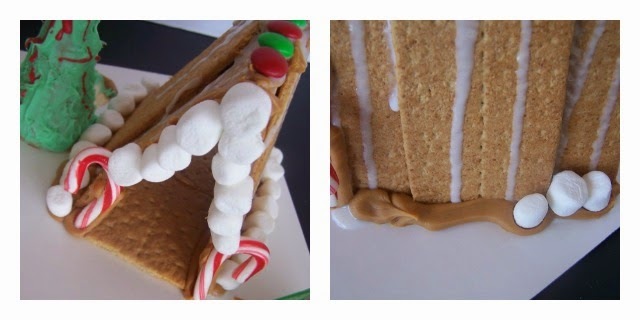 Finish it off by adding peanut butter to the remaining part on the front of the tent and add marshmallows. 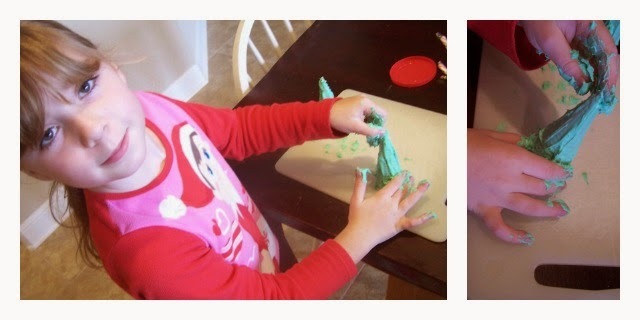 Using frosting, tinted green, cover a sugar cone with the frosting. Drizzle cookie icing (in your desired color) all over the tree, top with a dab of peanut butter and a chocolate candy or sprinkles. Place a 1/2 tsp size dollop of peanut butter on the board. stack - a few pretzels, use more peanut butter if necessary. Then add a few red candies (the fire!). Use malt balls to create a fire pit - place peanut butter on each malt ball and create a circle. Stick a pretzel stick into a mini marshmallow for marshmallow toasting! To finish it all off we placed the trees, and gingerbread men - using the peanut butter as "glue." Finally we swirled some blue frosting all over the unfinished portions and sprinkled coconut for snow! So...Do you know what you have left after making these fun creations? 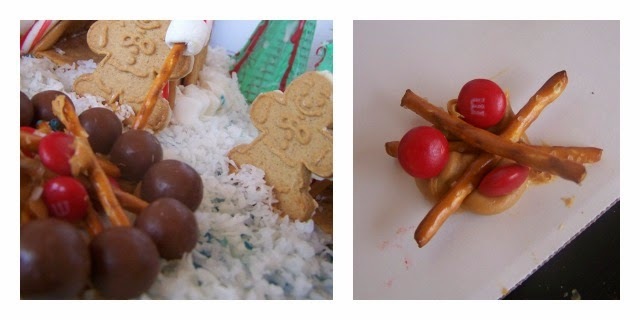 Lots of graham cracker pieces and Peanut Butter...so why not turn them into a festive holiday cookie! 2 1/2 Cups Old Fashioned Oatmeal, Uncooked. 1 Cup Honey Maid Graham Cracker Crumbs (use the leftover graham cracker pieces and run them through the food processor to create crumbs). You need 1/2 cup for the cookies and 1/2 cup for the coating. Mix the Peanut Butter and Honey until thoroughly combined. Add the Oatmeal and 1/2 cup graham cracker crumbs to the mixture; combine. Add the chocolate chips and cranberries; mix well. Form 1" balls with the dough and set aside on a cookie sheet or board. Combine the powdered sugar and remaining graham crackers crumbs in a medium bowl. Roll each ball in the mixture to coat them and make them look snowy and wintery! Refrigerate until ready to eat or serve! Don't forget grab that coupon for Honey Maid Graham Crackers! 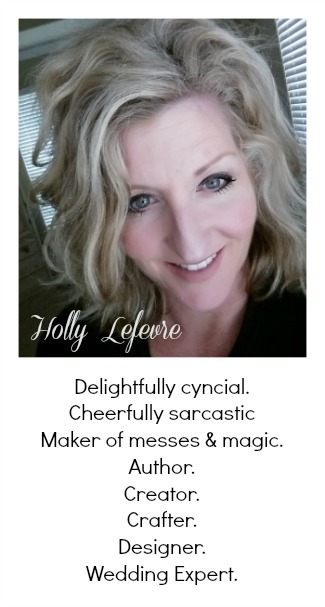 This post is written and created at 504 Main by Holly Lefevre disclosure: This shop has been compensated by Collective Bias, Inc. and its advertiser. Recipe and projects are original.